The two currently used buttons also has remote capability through a 3.5mm Jack. The external buttons drive the internal ones through optocouplers. This is not isolated just there for providing some noise immunity. There are place on the board for crystal. I don&apos;t know if such precision is required, but I didn&apos;t populated yet. The error in the previous attempt was uncorrectable to me. 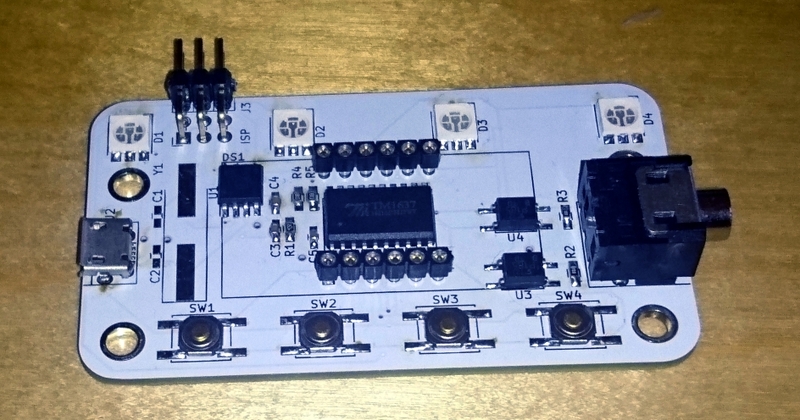 So I made some design changes: the three issues from the previous attempt, plus added the pinout table for the ISP. Based on my breadboard design I created a schematic in KiCAD, designed the PCB and ordered from ALLPCB. The 3.5 Jack had two missing holes. After resoldering the ATTINY for a few times, I was able to download the code, but nothing appeared on the display or the LEDs. I started to measure the board, and instantly realized the problem. The VCC and GND pins of the TM1637 was swapped. How this happened? I mirrored the TM1637 part in the KiCAD. After this the GND pin went to the top of the drawing and the VCC to the bottom. After this I connected the power pins as usual. The VCC to the top and the GND to the bottom. IDIOT!!!! I got a request, to design and build an electronic metronome. You can find several on the market, but the problem it is ether producing voice or the classical mechanical metronome. The requirement here was a visual effect. To be precise four LEDs for 4/4 beat. It is required for drumming where you have no chance to hear the clicking (or maybe just through headphones). Power Supply, and the usual things needed for such circuit. If you check the things above, you can quickly realize, that there is not a chance to drive the things above from an ATTINY85. The library I wrote for the Titan Microelectronics display drivers originally made for this project. So you can add a TM1637 to the picture above. It able to drive 6x8 LED segments, plus read 2x6 buttons. 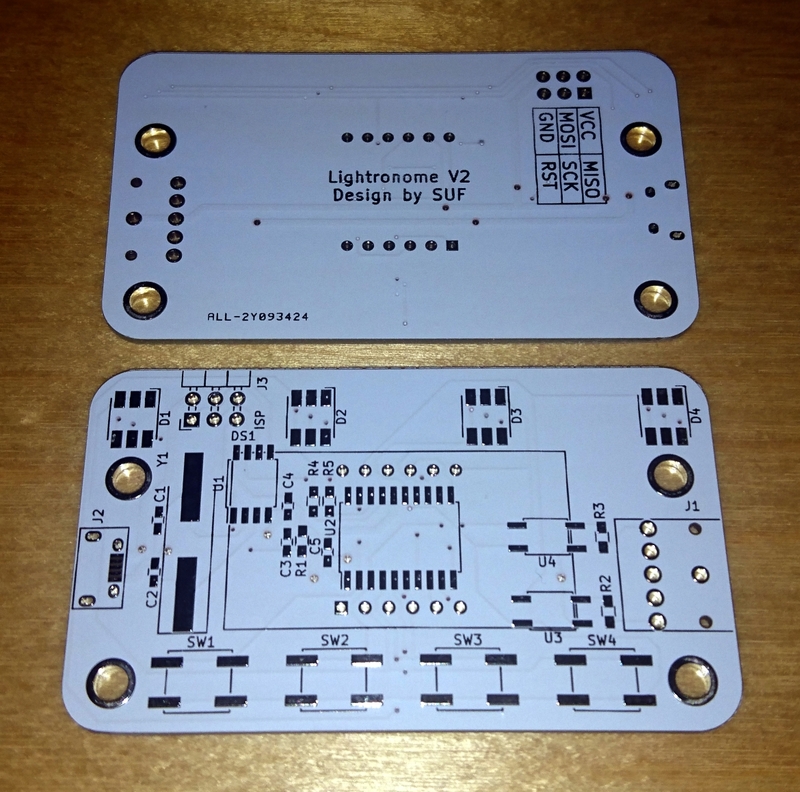 It is more than enough for LEDs, display, and the buttons. After writing the library, the actual code of the Metronome was quite simple. 40-DPI monochrome LED module designed for persistence-of-vision displays. 16-element bargraph in an 8-pin castellated DIP package. 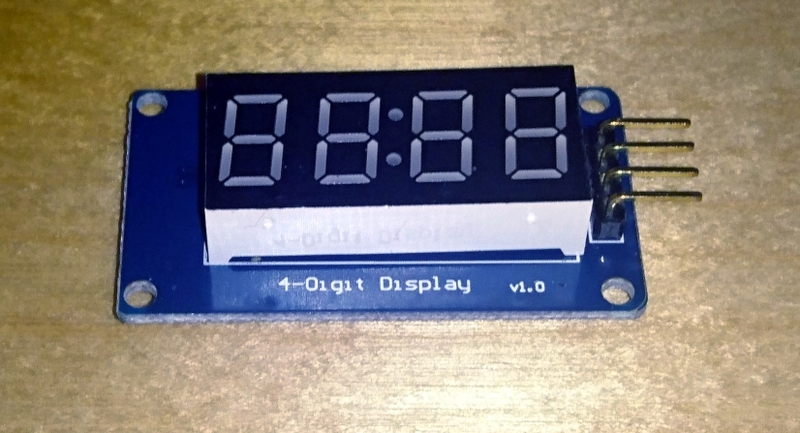 A practical-size, Back to the Future themed digital clock mimicking the "Present Time" portion of the DeLorean's time circuit displays. A open design for a portable scoreboard that can be controlled over Wi-Fi, and integrated into event management software. 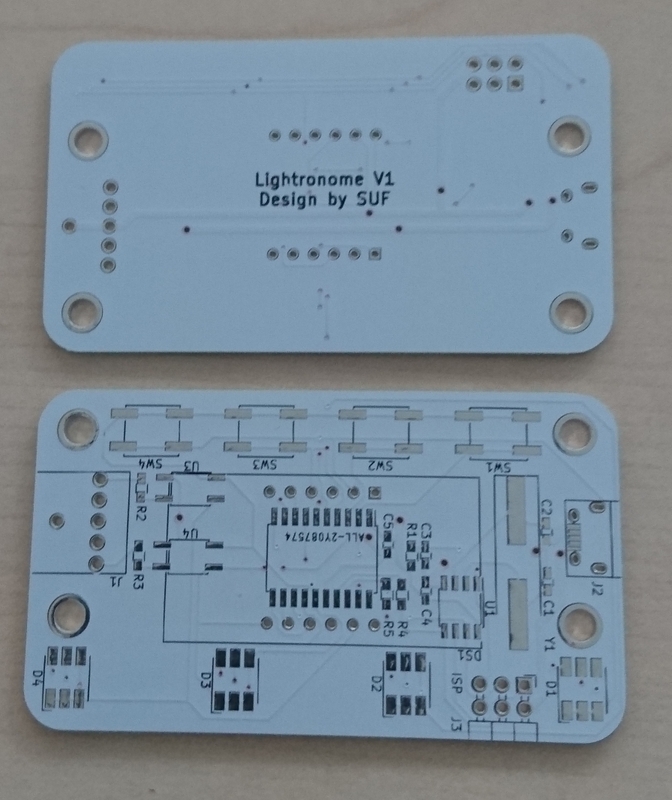 You are about to report the project "Lightronome - Light Metronome", please tell us the reason.